A couple of days ago, Nithiin’s fans were pleasantly surprised when an announcement regarding his next film was made. Ride and Veera fame Ramesh Varma was said to be the director for Nithiin’s next and the project was to be bankrolled by young hero Havish Koneru. Later, Nithiin took to Twitter and announced that his next film will be with acclaimed director Chandrashekar Yeleti under Bhavya Creations banner. 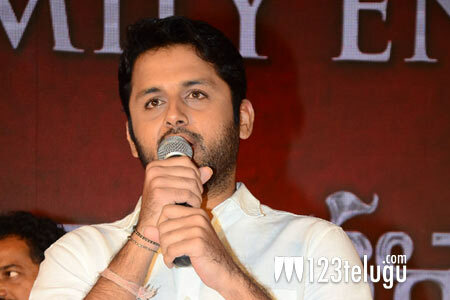 Nithiin didn’t mention a word about his film with Ramesh Varma. And, the biggest surprise came in this morning. Nithiin again took to Twitter and tweeted, “Any official news and updates about me n my movies will be announced on my official SM platforms. DO NOT believe in fake news..thank you.” Needless to say, Nithiin’s tweet has raised several eyebrows, and his film with Ramesh Varma appears to be in doldrums now. We will have to wait for a few more days for the truth to come out. Stay tuned for further details.